The kindergarten Social Studies Program develops awareness and knowledge of the self in relationship to places with which the student is most familiar: the home, the school, and the local community. Citizenship and socialization of the student to school rules and procedures are emphasized. Initial skills, concepts, and social studies vocabulary are introduced. Student understanding is measured using teacher-created formative and summative assessments in the classroom. The focus of the first-grade Social Studies Program is on families and the home in relationship to the neighborhood. Socialization to the school, started in kindergarten, is continued and expanded. Students examine ways in which groups work together to meet common needs and learn to practice good citizenship in the school and neighborhood. In order to expand their perspectives, students learn about families from the past and about families around the world. Social studies skills, including sequencing and simple map and globe skills, are practiced. Student understanding is measured using teacher-created formative and summative assessments in the classroom. Additionally, district-created diagnostic and proficiency assessments are administered following a four-cycle schedule throughout the year. The emphasis of the second-grade Social Studies Program is on community life. Students learn about people living in neighborhoods and communities, how rules and laws help people live together, and how individuals and groups make important decisions that affect their communities. Students examine the relationship of communities to their environment (geographic setting) and learn about economic activities in communities. Change over time is explored by studying communities of the past and comparing them to present-day communities. Student understanding is measured using teacher-created formative and summative assessments in the classroom. Additionally, district-created diagnostic and proficiency assessments are administered following a four-cycle schedule throughout the year. The third-grade Social Studies Program continues the study of the five strands of social studies as students explore diverse communities. 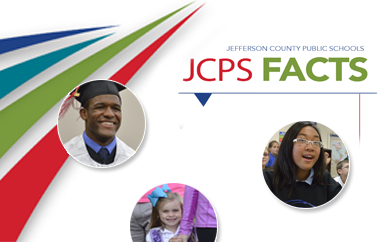 Students examine the geography and history of Louisville and Jefferson County and learn about local government and the local economy. Rural, urban, and suburban communities are also examined. Student understanding is measured using teacher-created formative and summative assessments in the classroom. Additionally, district-created diagnostic and proficiency assessments are administered following a four-cycle schedule throughout the year. The grade-four Social Studies Program begins with a study of the history, geography, government, and economic systems of our state. A variety of geographic tools, including globes, special-purpose maps, charts, graphs, and photographs, are used to obtain and present geographic information. The fourth-grade program then moves to a geography-based study of regions of the United States with special emphasis placed on the five themes of geography. The rights and responsibilities of citizens are examined, and good citizenship is emphasized throughout the program. Student understanding is measured using teacher-created formative and summative assessments in the classroom. Additionally, district-created diagnostic and proficiency assessments are administered following a four-cycle schedule throughout the year. The grade-five Social Studies Program promotes citizenship and develops student understanding of the United States' chronological history while integrating the study of our nation's geography, economy, government, culture, and social systems. Attention is given to the many diverse individuals and groups who have shaped U.S. history. Significant historical documents, such as the Declaration of Independence and the United States Constitution, are studied, and the program extends student understanding of the rights and responsibilities of citizens in a democratic society. Student understanding is measured using teacher-created formative and summative assessments in the classroom. Additionally, district-created diagnostic and proficiency assessments are administered following a four-cycle schedule throughout the year. Students in grade five also participate in the state accountability testing for social studies, the Kentucky Performance Rating for Educational Progress (K-PREP). The sixth-grade Social Studies: World Geography course uses five big ideas of social studies (government and civics, cultures and societies, economics, geography, and historical perspective) to focus on an integrated approach to the study of world cultures and geography. Concepts, skills, and content from both human and physical characteristics are taught using inquiry, geographic tools, and primary and secondary sources. Special emphasis is placed on the five themes of geography (Location, Place, Movement, Human/Environmental Interaction, and Region) and on the methods and skills of a geographer. The idea of global interdependence is explored. This course is aligned with the current Kentucky Core Academic Standards (KCAS) for Social Studies. Students in this course are assessed locally using grading-period assessments drawn from released items on national norm-referenced tests. The seventh-grade Social Studies: World Civilizations to 1500 course uses five big ideas of social studies (government and civics, cultures and societies, economics, geography, and historical perspective) to focus on an integrated approach to the study of world history from the earliest civilizations to 1500. The development of historical perspective provides an understanding of the early peoples and great civilizations of the past. Through the use of inquiry, chronological thinking, and historical analysis, students examine the people and events that ushered in the dawn of major Western and non-Western civilizations, and they examine continuity and change across time. Students also examine the ways in which past civilizations met common needs and concerns and link past to present. This course is aligned with the current KCAS for Social Studies. Students in this course are assessed locally using grading-period assessments drawn from released items on national norm-referenced tests. The eighth-grade Social Studies: U.S. History course uses five big ideas of social studies (government and civics, cultures and societies, economics, geography, and historical perspective) to focus on an integrated approach to the study of U.S. history, from the land and people before Columbus through Reconstruction. Emphasis is placed on the significant events, critical movements, and perspectives of the diverse groups of people. The historical roots of our democratic principles are studied using primary and secondary sources to examine the ideas, ideals, and critical events associated with the founding of our nation. Through the use of inquiry, chronological thinking, and historical analysis, students examine the political, social, and economic dimensions of early U.S. history and make connections between the past and present. This course is aligned with the current KCAS for Social Studies. Students in this course are assessed locally using grading-period assessments drawn from released items on national norm-referenced tests. Additionally, students in this course are assessed using the state-mandated assessment, currently K-PREP. The World Civilizations course surveys the development of civilization with a focus on the modern era (1500 to present). In this course, the student is introduced to and uses the skills and concepts of history, geography, economics, political science, the behavioral sciences, and the humanities. Historical eras examined in this course include the Renaissance, Reformation, Age of Exploration, Age of Revolution, Nationalism and Imperialism, and the Technological Age. Special emphasis is placed on developing chronological, spatial, and cultural perspectives. The Exploring Civics course provides a detailed overview of the history, structure, and workings of the U.S. government. Students gain insight into the foundations of our democracy, interpret the Constitution, identify the powers of government, evaluate federalism, and understand the importance of separation of powers and checks and balances. Students consider the roles played by various political actors (i.e., the president, Congress, the courts, interest groups, mass media, and social movements) in shaping the public agenda, evaluate the wisdom or fairness of various government policies, and make reasoned decisions about current and future political issues. Students look at a historical case study to evaluate U.S. governmental processes, work on communication skills, and apply what they have learned. The United States History course completes the study of U.S. history that was introduced in grade eight and focuses on the development of the United States from Reconstruction through the twentieth century. Emphasis is placed on the significant events, critical movements, and individuals and groups who shaped our modern nation. This course uses an interdisciplinary approach in which students analyze the social, political, and economic characteristics of each era. Chronological thinking and historical analysis are emphasized, and students learn to understand and use the processes involved in producing and evaluating history. This course is aligned with the current KCAS for Social Studies, as well as ACT Quality Core Standards. Students in this course are assessed locally using grading-period assessments drawn from released items on national norm-referenced tests. Additionally, students in this course are assessed through the End-of-Course (EOC) Exam mandated by the Kentucky Department of Education (KDE). Psychology, Sociology, Government and Politics, Economics, Global Issues, and African and African-American History, etc.